I’ve had an avid interest in the paranormal since listening to Art Bell’s Coast to Coast overnight show back in the ’90s. In the past 10 years, television took over as the medium of my interest and shows like Ghost Hunters got it all started. Since then, you can add shows like Destination Truth, Paranormal State, Ghost Adventures, Fact or Faked, and Haunted Highway to that list. 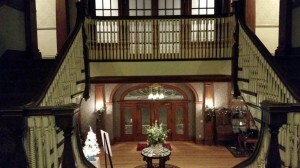 I’ve never had a personal paranormal experience, so when I heard about a chance to go ghost hunting with some of the television investigators that were on the shows that continued to keep my interest in the field alive, I jumped. 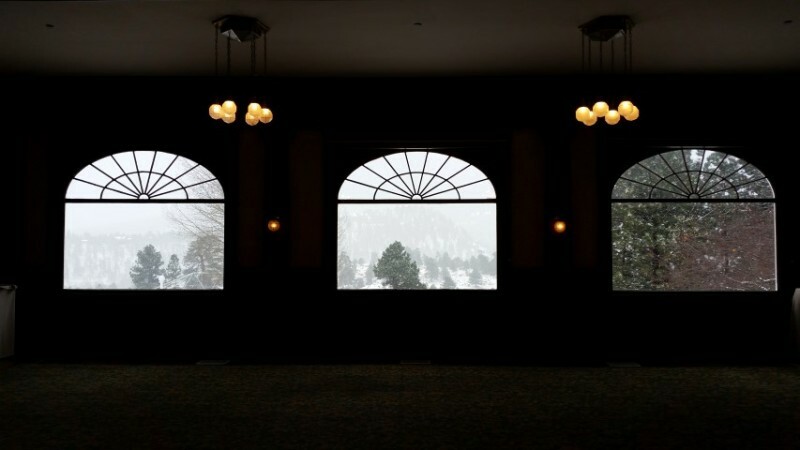 Enter the Stanley Hotel: nestled in Estes Park, Colorado, on the doorstep of the gorgeous Rocky Mountain National Park, the hotel is ranked in the top 10 most haunted hotels in the U.S., is where Stephen King wrote The Shining, where Jim Carrey left the infamous room 217 (during filing of Dumb and Dumber) after just a few hours (never to return), and where multitudes of televised paranormal investigations have taken place (including several visits from Ghost Hunters group TAPS). 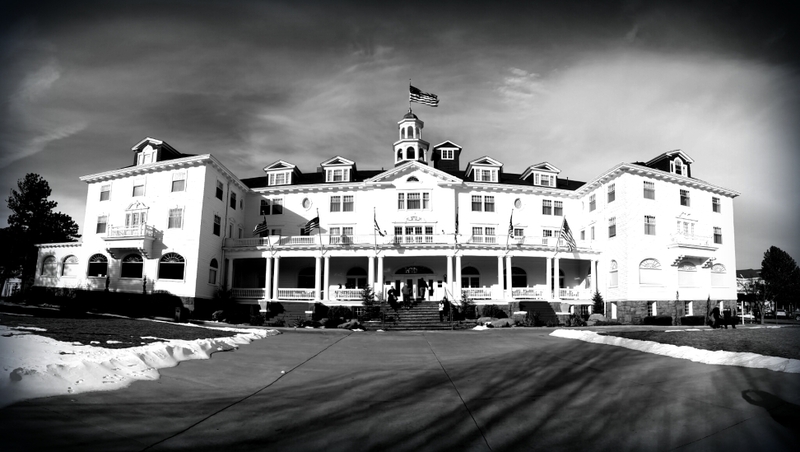 I had never stayed at the Stanley Hotel before (just visited and did the historical tour). I’ve also never had a paranormal experience, so this was a chance for me to try to go from skeptical to convinced. I was joined by my 10 year-old daughter (who often watches some of these shows with me), girlfriend, and mother. 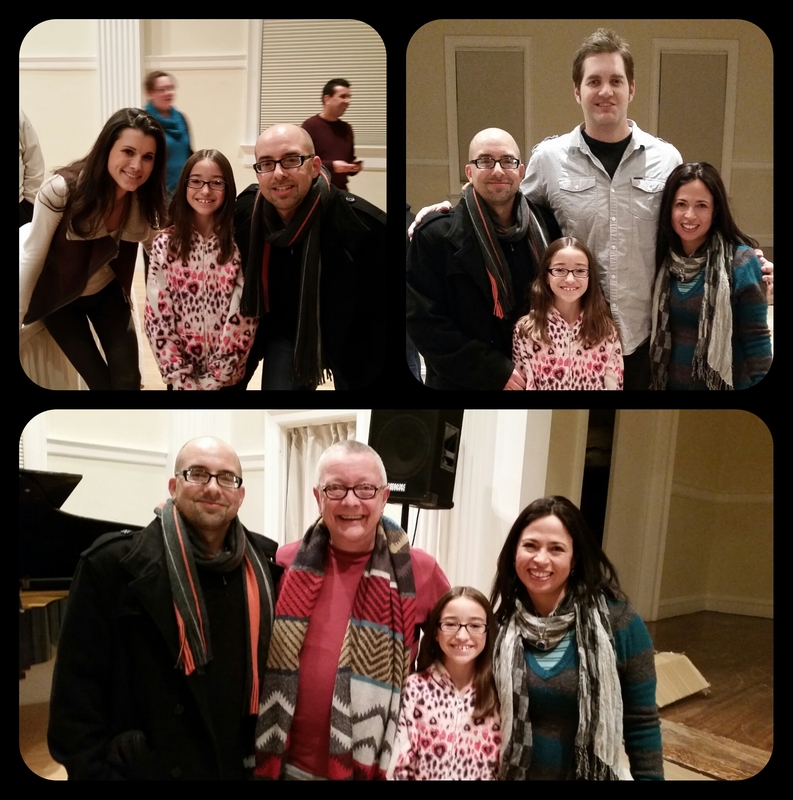 The event was hosted by the Lost Limbs Foundation and included Dana Workman (Haunted Highway), Chip Coffey (Paranormal State, Psychic Kids) and Ben Hansen (Fact or Faked). 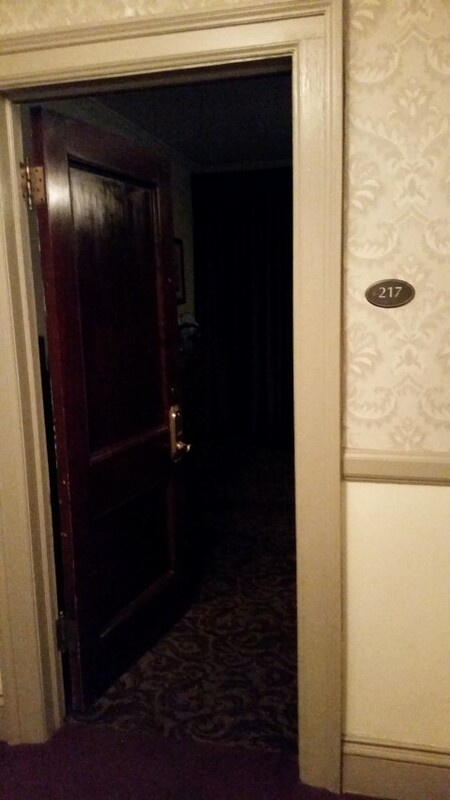 Both nights of the event included a 3-hour ghost hunt experience in the most haunted areas of the hotel: room 217, room 401, room 418, and below the Concert Hall in “Lucy’s Room”. Unfortunately for me and my kin, we did not have any direct personal experiences. However, I did use my digital voice recorder to record each of the 7 investigative sessions I attended, and when I returned home, started listening for EVPs (electronic voice phenomena) — the theory being that spirits’ voices can be recorded via electromagnetic energy, even though they weren’t heard in the room at the time. So below are my findings (most of which have relevance to what was going on in the rooms at the time–not just random sounds). I have my noise-reduced/higher volume version and the original version of each for comparison (I’ve done no other editing beyond this). I don’t claim that these are ghosts, but I can say with some certainty that none of these things were heard/said during the times I was sitting in the rooms recording these. Enjoy! I hear a female voice say “Nooo” as if to contradict what I’m saying at the time. I recall only Mike and I having this conversation–no one else was speaking in the room originally, which is why I find this intriguing. The group that had the session before us came out saying how active things were, including some supposed physical manipulation of an object Chip was holding in his hand. But during our session, it was mostly flashlights going on and off. However, after listening to the audio recordings, perhaps the room really was active! What I hear, right at the beginning of this clip, is a faint, perhaps older female voice say, “How are you?” Two seconds later, one of the hotel’s hosts named Lisa gets excited because that third flashlight turned on. Not only do I hear the slow “he….llooo” immediately before Chip says he heard it, but he then goes on to vocalize exactly what he heard, and what he sounds out is identical to the original sound picked up on the recorder. What I hear, after Lisa says “…too much for you” is a male whispering “I’m here talkin'” with the loudest emphasis on “I’m”. What I find fascinating with this is immediately after, another female in the group invites a spirit to talk into a recorder on the bed. Power of suggestion? Coincidence? I don’t know, but pretty cool to pick up. 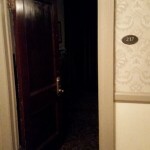 This is the room that is rumored to be haunted by two children. As with our other sessions, it was pretty quiet during our 40 minutes in there. During playback of the recording, however, I picked up an interesting sound that didn’t occur in real time. Dana asked if something could make a knocking noise. And then you hear what appears to be an ethereal (dare I say) child’s voice? I could really make it out, but after listening back to it, my daughter thinks it’s saying something like “keep knocking.” I can kind of hear it, but not sure. The tone of the voice is what is a bit eerie, and the timing of it. The two I got beneath the Concert Hall in “Lucy’s Room” I’m not really sure about. I definitely hear specific things, but I can’t, with 100% certainty, say these aren’t due to some anomaly with the recorder or perhaps not someone else in the room. However, I think there is enough here to at least let you decide for yourselves. In this first one, Ben is saying that Chip isn’t in the room but is in another building and does the spirit want him to come. There are two things here. the first is at :11 right as Ben starts to say “Do you want him to come?” To me, it sounds like a female loud whisper saying either “nah” or “yeah.” Then at :18, right before a female in the room is about to speak, I hear a softer “yeah” right before she starts to talk. Part of me thinks the second “yeah” is the female breathing in before she speaks, but after repeated plays, it just doesn’t sound like a natural way to start talking and has a slightly different tone than her voice, so I’m not sure what to make of this one. It is unedited other than normalizing the volume. Later in the session, Ben is explaining that sometimes you can catch EVPs just by leaving a recorder running, and “You’ll get really strange reactions, so…” at which time an Aflac duck-sounding voice says, “What?” before Ben starts talking again (file is unedited). There was some interesting energy in this room for the first 5-10 minutes, but nothing interesting from the recording to report. We heard a few things in the room, also captured on my recorder, but nothing definitive or understandable. We did a spirit box session and didn’t come up with anything. Lisa ran the Ovulis (in phonetic mode) for a bit and managed to pick up some random words that came out saying “Ben,” “boo,” and “Bo” (which Ben revealed is one of his nicknames), but it seemed pretty random. Entertaining, at least. Again, I’m not saying what these are or aren’t, or that there may not be other explanations for these sounds/voices, but I will admit that it has motivated me to want to continue trying to learn more and going on more investigations to gather more evidence to get closer to an explanation. Thank you to Mike Couch (and Lost Limbs Foundation), Ben Hansen, Chip Coffey, and Dana Workman for giving us this opportunity to play. I can’t wait to do it again!